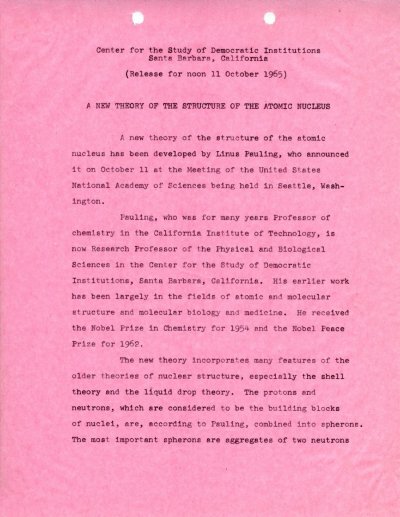 "A New Theory of the Structure of the Atomic Nucleus." October 11, 1965. Page 1 Larger Images / More Information. 4 pp.